Change in the release date. Yeah…I kinda have to change the release date. I know, I said the 21st, but God decided that TODAY would be better! You can go buy it on Amazon! And it couldn’t have happened on a better day. You see, today is St. Ignatius of Antioch’s feast day. He’s one of my favorite apologists and Saints. He learned at the feet of the Apostle John, and was the first to use the term “Catholic” to describe our faith. So go check it out! All praise and glory goes to God! Guess what! 11 days till release! 😀 Lots of good things happening! My editor is about 1/4 way through the proof copy as of today, not many changes to make! Working on hardcover covers (formatting those is fun. ), editing, and planning more blog posts today. But all the boring update stuff aside, it’s sneak peek time! Here’s the first part of Chapter 1! Fr. Terrence Henry is right. There’s no time to be casual in our Catholicism. We must be heroic in our faith! We (Catholics) need to be filled with our faith, fully immersed in it, ready to show the world what it truly means to be Catholic in today’s society. In order to do that we must be confident in what we believe. We must know all of the who, what, where, when, why, and how of our beliefs. These facts will be questioned and they will be twisted…which is why we must know the Truth. We can’t be Catholic only when it is convenient. We can’t be Catholic only when the world says it’s okay. We have to be Catholic because it is who we are. I don’t know about you, but my faith is my life. My schedule every week is configured around Mass on Sunday. I spend time studying our faith; you’d be likely to catch me reading in my room from either St. Thomas’s Summa Theologica, or the Catechism or one of the many apologetics books that my mom has. I realize that this not typical though. It’s countercultural. People aren’t likely to support it. This is the reason why we have to be that much more solid in our beliefs; so we can keep our beliefs throughout our life and not be led astray by what seems “cool” or “popular,” but rather stay rooted in our faith. God calls each of us to be His ambassador and to spread His word. We are all charged with the command of spreading the Gospel and teaching those who know not Truth. This means we have to actually talk about our faith. It’s easy to sit back and not let faith be a big part of your life. It’s easy to leave it to other people. But that’s not what we’re called to do. We’re called to learn about our faith so we may teach others. I’m always surprised, and not in a good way, by the lack of people who really know what their Faith is about. Too many are simply Catholic because their families are. No. We must be Catholic because it is Truth. To know Truth we have to first know the basics of defending it ourselves. To do that we have to learn about not only what we believe, but why we believe it. 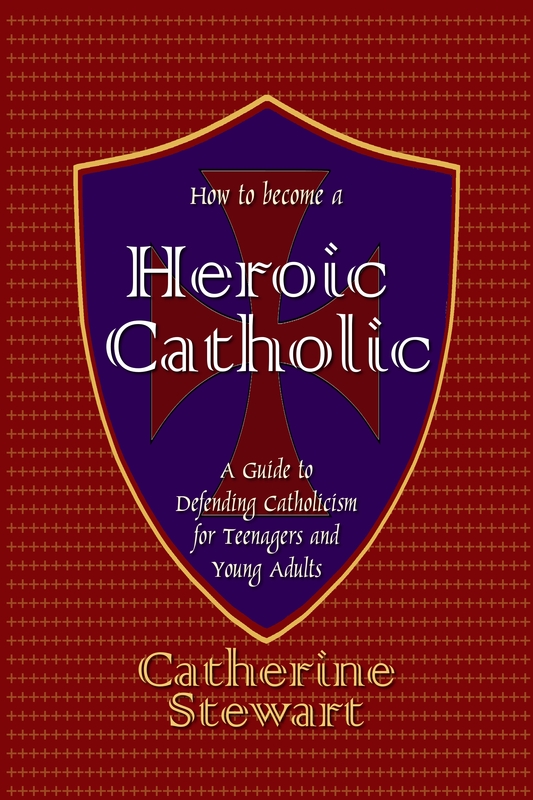 We have to be heroic Catholics. Why do I say that? Because look at the heroes in the world. From the Knights who went on the Crusades, to the Apostles who risked everything to spread Catholicism, to even people like the pilot who landed the plane in the Hudson River a few years ago. What do all those people have in common? They are heroes. If you like what you read, can you do me a favor? Share this website with your friends! It’s easy, and I’d be extremely grateful. Or, do you have a blog/website of your own? 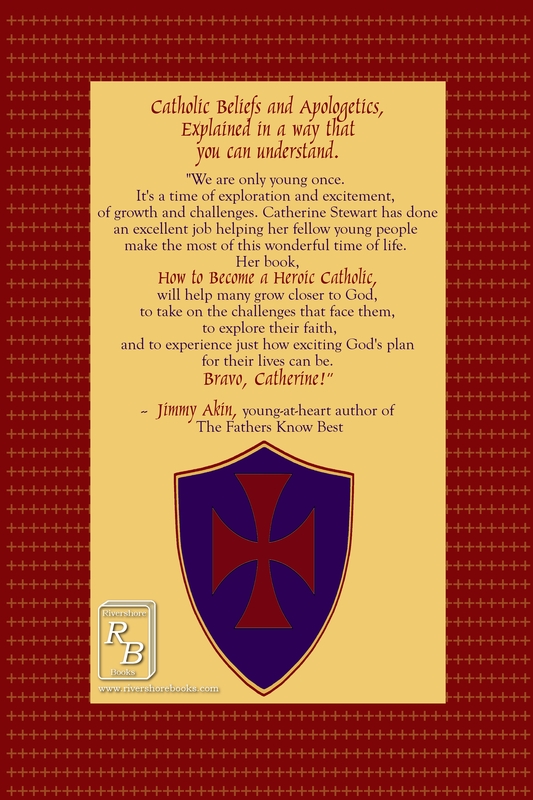 And are you interested in reading How To Become a Heroic Catholic before the release date? Tell me! One way that works very well to build up a good following for a book is to have reviews written and spread out on the internet before the release date. That’s what I’m looking for. So if you’re interested in reading it and writing a review for me, posting it on your blog/website and possibly my Facebook page…comment here or send me a message on Facebook. I’ll be happy to talk to you about it. Keep up the prayers! I’m praying for y’all too. Guess what came in today! The Proof Copies are in! 😀 LOOK! Now it’s time for a tough review…going through it page by page, word by word, making sure it’s as close to perfect as can be! It’s exciting 😀 To be holding a physical copy of my book is surreal. I can’t explain how amazing it feels to be able to hold this in my hand and realize that this is really happening. Praise God. That’s all I can say. He is awesome. Last post, I also said that “How to Become a Heroic Catholic” wasn’t the original title. What was? To be honest, I didn’t have a title for it for a while. Then it was “In Defense of Catholicism” and “How to Defend your Faith” and a couple others. Titles are tricky! But I think I decided on the *perfect* one, don’t you? Check back on Friday for a sneak peek of the first chapter! Keep up the prayers, God has big things in store and it’s gonna be great. 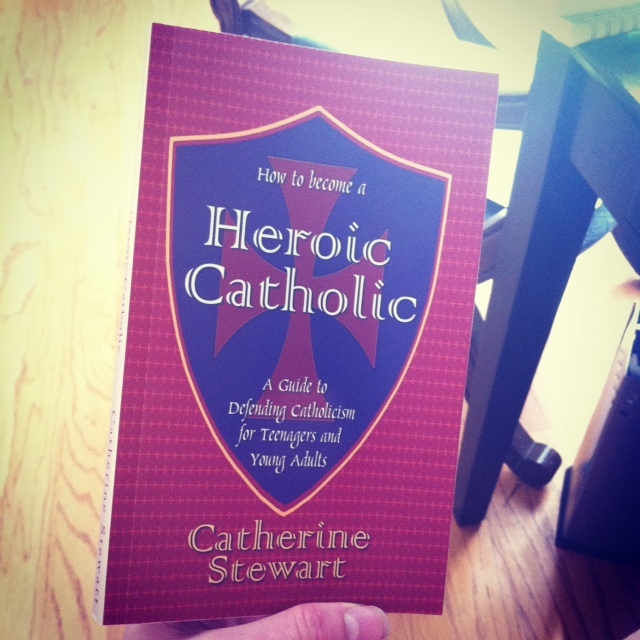 Why “How to Become a Heroic Catholic”? And in celebration of reaching 50 likes I shared the inspiration for the title. Here you go! No longer Catholics by accident, no longer Catholics by convenience. But Catholics by conviction – Catholics ready to be heroic in their Faith, by defending it, by spreading it, by living it. Heroic Catholics. New Cover, an epic Review, and a Release Date! Hey y’all! Long time no post – that’s gonna change! I promise! That was written by Jimmy Akin. He is one of my favorite Catholic Apologists. Check out his books too! They’re pretty neat reading. I also promised a release date in the title of this post. So here it is! As long as everything goes to plan (please, please pray that it does!) I’ll be releasing the book then! God has a plan for the timing of everything, I trust Him. Keep me in your prayers as I move forward with this and prepare to let the world read what I wrote. It’s terrifying and amazing at the same time. Be on the lookout for sneak-peeks of the book! I’ll try to post a couple snippets between now and when it’s released.